Note that the Feast of CHANUKAH/HANUKKAH is not the Jewish/Israeli Christmas and in fact, has nothing to do with Christmas!!! The Orthodox Jews find it offensive when someone says to them that HANUKKAH is the Jewish/Israeli Christmas. Is the Feast mentioned anywhere in the Holy Biblical Scriptures? Did YAHUSHUA ever observe the Chanukah Feast while HE was on earth in the human form? Would YAHUSHUA want us to keep observing the Feast? What is the Feast of Chanukah (also spelt as Hanukkah) all about? When is it to be observed? How do the Jews observe it? Why do we have to observe and celebrate the Feast? Is there any historical connection to the Feast? During the time of Chanukah, we see dreidels, gold coins, latkes becoming increasing popular, why is this the case? Is there any future prophesied connection to the Feast? Is Hanukkah the Jewish Christmas since they are both observed around the same time? We see 9 branch lamps called MENORAH being lit by the Jews around this time of year, why is it the case? According to Exodus, YAHUVEH GOD only instructed Moses to make a 6 branch one? Are there any High Holy Days within the Feast? YAHUSHUA (a.k.a JESUS CHRIST/YESHUA) celebrated this Feast while on earth in the physical earthly fleshly form. The evidence is found in John 10 which is quoted below. The word “CHANUKAH” comes from the Hebrew root word “CHANOCK” which means “TO DEDICATE”. “Chet” is also the 8th letter in the Hebrew Alphabet. 8 is the number of YAH (a.k.a GOD) that represents “NEW BEGINNINGS”. “Chet” is the same letter that starts the Hebrew word “CHAIi” which means “LIFE”! 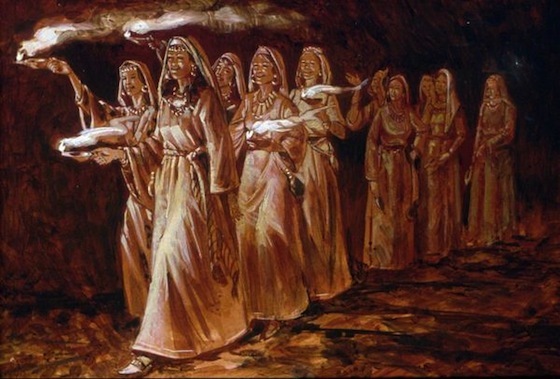 Eve, the very woman on earth had a Hebrew name which is “Chavvah”. This name means “SOURCE OF LIFE” and starts with the Hebrew Letter “Chet”. So you see, this letter is vital in the Hebrew Alphabet as it speaks life into mankind. The Hebrew letter “Chet” speaks of NEW BEGINNINGS IN LIFE as well as NEW LIFE! The Feast of CHANUKAH marked and still marks the beginning of a new chapter of life in the Holy Land, Israel. TRUE LIFE came back to the Israelites after they obtained victory over Antiochus IV Epiphanes and his people. Note that the Hebrew word “CHANUKAH/HANUKKAH” means “DEDICATION” in English. Interestingly enough, BABY NAMING Ceremonies are usually done on the 8th day from the day of birth. This is significant as NAMES ALWAYS REVEAL MISSIONS!!! 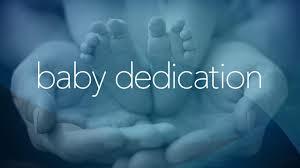 The BABY DEDICATIONS are usually done 40 days later for male children and 80 days later for female children. This was written in the Heavenly Tablets after the formation of Eve from Adam as per the Book of Jubilees. Eve was created on the sixth day of the week some time after Adam had already been created on earth. When Eve was given to Ada, she had no name. She was just woman. However, through the inspiration of RUACH HA KODESH, Adam named the woman who later became his wife, “Chavvah (a.k.a Eve)”. CLEANSE and RE-DEDICATE YOUR BODY UNTO YAH AS HIS HOLY TEMPLE of residence!!! (1 Corinthians 6:19-20). Ask YAH to fill you with more fresh SPIRITUAL OIL. Ask YAH to fill you with more fresh RUACH HA KODESH FIRE. Ask YAH to fill you with more fresh LIGHT. Ask YAH for a MIRACLE of some MIRACLES to come your way. This is a very good time to dedicate one’s child or baby unto YAHUVEH GOD Almighty as it is a time of DEDICATION and RE-DEDICATION unto YAH!!! 10 Judas Maccabeus and his followers, under the leadership of the Lord, recaptured the Temple and the city of Jerusalem. 2 They tore down the altars which foreigners had set up in the marketplace and destroyed the other places of worship that had been built. 3 They purified the Temple and built a new altar. Then, with new fire started by striking flint, they offered sacrifice for the first time in two years, burned incense, lighted the lamps, and set out the sacred loaves. 4 After they had done all this, they lay face down on the ground and prayed that the Lord would never again let such disasters strike them. They begged him to be merciful when he punished them for future sins and not hand them over any more to barbaric, pagan Gentiles. 5 They rededicated the Temple on the twenty-fifth day of the month of Kislev, the same day of the same month on which the Temple had been desecrated by the Gentiles. 6 The happy celebration lasted eight days, like the Festival of Shelters, and the people remembered how only a short time before, they had spent the Festival of Shelters wandering like wild animals in the mountains and living in caves. 7 But now, carrying green palm branches and sticks decorated with ivy, they paraded around, singing grateful praises to him who had brought about the purification of his own Temple. 8 Everyone agreed that the entire Jewish nation should celebrate this festival each year. It is intriguing to see that the above account is written in eight verses which is the number of days we observe the Feast of CHANUKAH/HANUKKAH. Holy Biblical Scriptures that mention the Feast of Hanukkah/Chanukah? 8 So Solomon observed the feast at that time for seven days, and all Israel with him, a very great assembly who came from the entrance of Hamath to the brook of Egypt. 9 On the eighth day they held a solemn assembly, for the dedication of the altar they observed seven days and the feast seven days. 10 Then on the twenty-third day of the seventh month he sent the people to their tents, rejoicing and happy of heart because of the goodness that the Lord had shown to David and to Solomon and to His people Israel. This First Scripture lets us know that even before the Feast of CHANUKAH was officially celebrated from the time of the Maccabees, in Heaven, it was already being observed on a yearly basis as per Heaven’s Calendar. 22 Then came Hanukkah;[a] it was winter in Jerusalem. 23 Yeshua was walking in the Temple around Solomon’s Colonnade. Also the First Book of the Maccabees and the Second Book of the Maccabees. These are some of the vital Lost Books of the Bible. 4 In Him was life, and the life was the light of men. 5 The light shines in the darkness, and the darkness has not overpowered it. 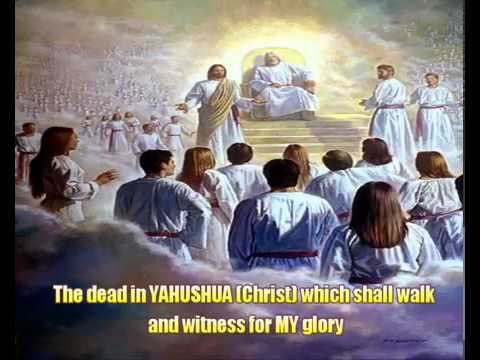 Is an 8 Day Feast of Victory over the enemies of YAH (a.k.a GOD) commemorating the cleansing of the Temple in Jerusalem after it had been desecrated by the Syrians under Antiochus Epiphanes (1 Maccabees 4:52-59; 2 Maccabees 10:5). Remember the 8 is the Number that signifies NEW BEGINNINGS! Has no High Holy Days within it. 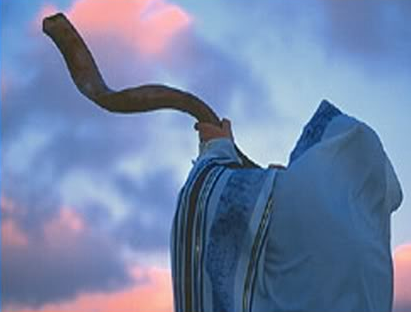 Begins on 24th of the Hebrew Month called “Kislev” and finishes on 2nd of the Hebrew Month called “Tevet”. Is a time to commemorate the Miracle of OIL and LIGHT. The Victory in itself was considered a miracle, but Jewish legend gives an additional explanation for Hanukkah rituals, explained below. Once the Temple Mount in Jerusalem had been reclaimed, the Temple had to be rededicated. 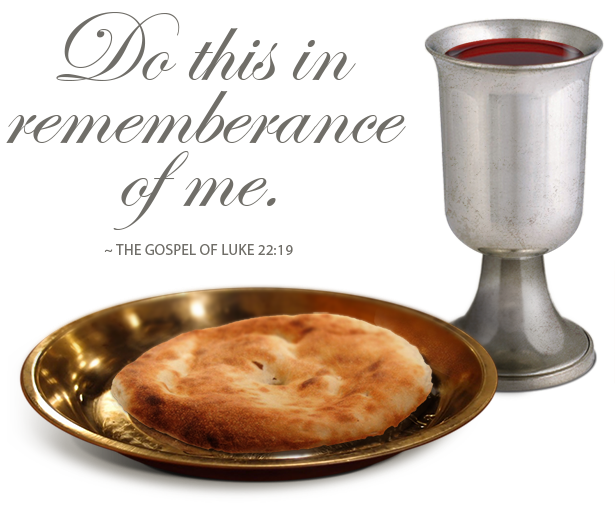 According to legend, only one jar of sacramental oil was found, enough for one day. Miraculously, the oil burned for eight days, thus the eight days of Hanukkah. YAHUSHUA was conceived around this time of the year. Remember that YAHUSHUA is the ETERNAL LIGHT OF THE WORD as per John 8. 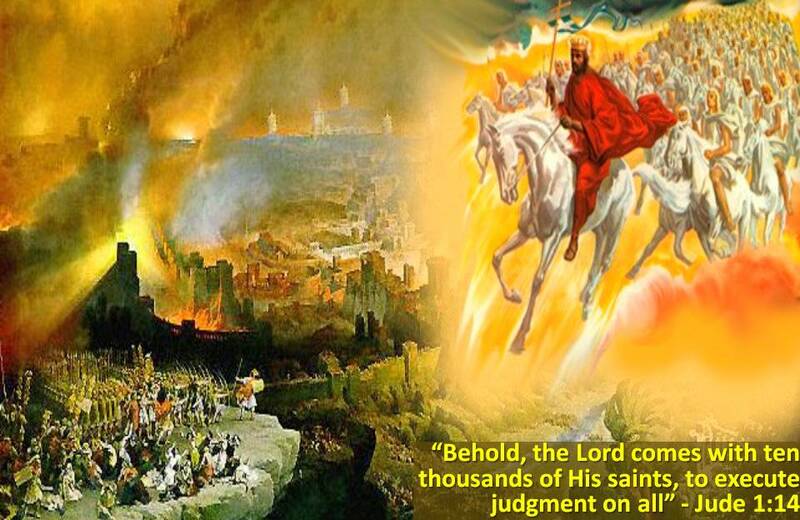 Prophesies about what will happen in the future Great Tribulation/Time of Jacob’s Trouble. Reveals more information about the Abomination that causes Desolation. Reveals more about what the Anti-Messiah/Anti-Christ will be like. Miracle of THE LIGHT OF YAH a.k.a YAHUSHUA THE LIGHT OF THE WORLD! What THEMES do we see in this FEAST? What did the Maccabees fight for? Freedom of worship as designed by YAHUVEH/YAHWEH GOD. In the narrative of I Maccabees, after Antiochus issued his decrees forbidding Jewish religious practice, a rural Jewish priest from Modiin, Mattathias the Hasmonean, sparked the revolt against the Seleucid Empire by refusing to worship the Greek gods. Interestingly enough, Prophet Daniel prophesied about the Tribulation brought about by Antiochus the Epiphanes. 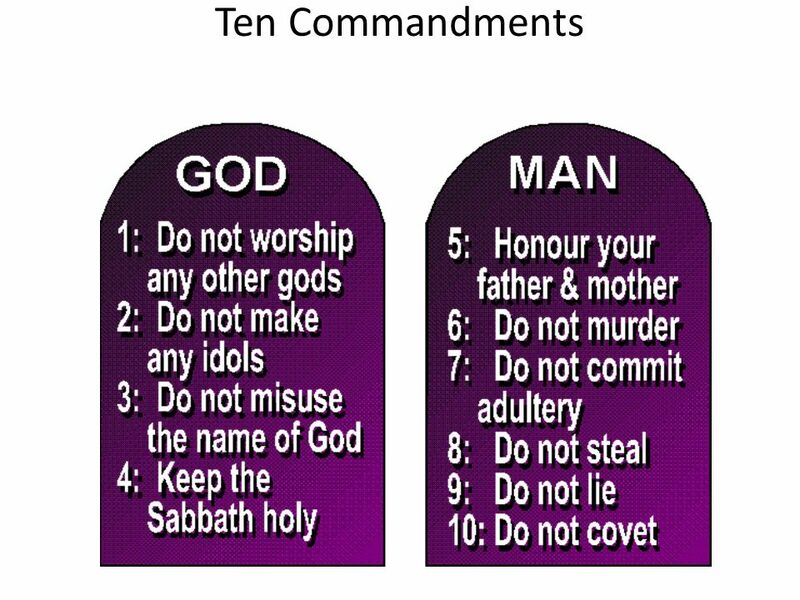 YAHUSHUA later repeated Prophet Daniel’s words saying what happened during the time of the Maccabees will be repeated in the future and that we should brace ourselves (Matthew 24). What was the Abomination of Desolation? Firstly, the word “Abomination” means: a thing that causes disgust or loathing according to dictionary.com. Secondly, the word “Desolation” means: a state of complete emptiness or destruction, according to dictionary.com. something disgusting or loathsome that causes destruction of something else. So as per the story of the CHANUKAH, what exactly is the ABOMINATION THAT CAUSES DESOLATION? Sacrificing a pig on YAH’S Holy Altar in the Temple of YAH – Note that the pig was and still is the most disgusting animal unto YAH. Its way of life is very unclean as it prefers to be in dirty muddy environments. Pigs can eat anything they come across. Pigs are one of the NON-KOSHER FOODS that YAH commanded us not to eat as per Leviticus 11. 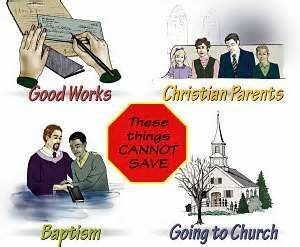 Therefore sacrificing them unto YAHUVEH GOD is the greatest abomination one can do on earth. YAHUSHUA warned HIS Apostles concerning the re-occurrence of the event that led to the Feast of Hanukkah being celebrated yearly. 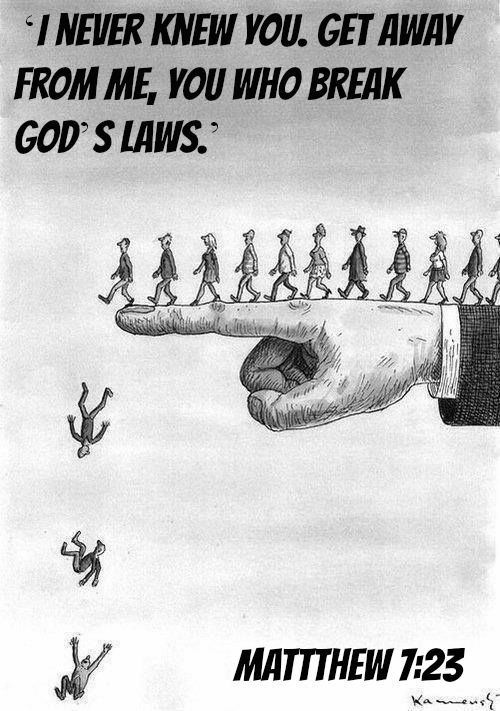 See Matthew 24. 15 “The prophet Daniel said that the disgusting thing that will cause destruction will stand in the holy place. When you see this (let the reader take note), 16 those of you in Judea should flee to the mountains. 17 Those who are on the roof should not come down to get anything out of their houses. 18 Those who are in the field should not turn back to get their coats. 19 “How horrible it will be for the women who are pregnant or who are nursing babies in those days. 20 Pray that it will not be winter or a day of worship when you flee. 21 There will be a lot of misery at that time, a kind of misery that has not happened from the beginning of the world until now and will certainly never happen again. 22 If God does not reduce the number of those days, no one will be saved. But those days will be reduced because of those whom God has chosen. YAHUSHUA’S words make it very clear that there will be another “Antiochus Epiphanes” in the future who will desecrate the Holy Land, Israel including the Third Temple. What does the word “Epiphanes” mean? Some people renamed him “Antimony” meaning “mad man” as there was no way GOD could manifest like that!!! Who was “Antiochus IV Epiphanes”? According to the Britannica Enclopedia (https://www.britannica.com/biography/Antiochus-IV-Epiphanes), Antiochus was the third son of Antiochus III the Great. After his father’s defeat by the Romans in 190–189, he served as hostage for his father in Rome from 189 to 175, where he learned to admire Roman institutions and policies. His brother, King Seleucus IV, exchanged him for Demetrius, the son of Seleucus; and after Seleucus was murdered by Heliodorus, a usurper, Antiochus in turn ousted him. During this period of uncertainty in Syria, the guardians of Ptolemy VI, the Egyptian ruler, laid claim to Coele Syria, Palestine, and Phoenicia, which Antiochus III had conquered. Both the Syrian and Egyptian parties appealed to Rome for help, but the Senate refused to take sides. In 173 Antiochus paid the remainder of the war indemnity that had been imposed by the Romans on Antiochus III at the Treaty of Apamea(188). Antiochus forestalled an Egyptian expedition to Palestine by invading Egypt. He defeated the Egyptians between Pelusium and Mount Kasion, conquered Pelusium, and in 169 occupied Egypt with the exception of Alexandria, the capital. Ptolemy VI was Antiochus’ nephew—Antiochus’ sister, Cleopatra I, had married Ptolemy V—and Antiochus contented himself with ruling Egypt as Ptolemy’s guardian, giving Rome no excuse for intervention. The citizens of Alexandria, however, appealed to Ptolemy VIII, the brother of Ptolemy VI, and to his sister Cleopatra II to form a rival government. Disturbances in Palestine forced Antiochus to return to Syria, but he safeguarded his access to Egypt with a strong garrison in Pelusium. In the winter of 169/168 Perseus of Macedonia in vain begged Antiochus to join forces with him against the danger that Rome presented to all of the Hellenistic monarchs. In Egypt, Ptolemy VI made common cause with his brother and sister and sent a renewed request to Rome for aid, and Antiochus prepared for battle. The fleet of Antiochus won a victory at Cyprus, whose governor surrendered the island to him. Antiochus invaded Egypt again in 168, demanded that Cyprus and Pelusium be ceded to him, occupied Lower Egypt, and camped outside Alexandria. The cause of the Ptolemaeans seemed lost. But on June 22, 168, the Romans defeated Perseus and his Macedonians at Pydna, and there deprived Antiochus of the benefits of his victory. In Eleusis, a suburb of Alexandria, the Roman ambassador, Gaius Popillius Laenas, presented Antiochus with the ultimatum that he evacuate Egypt and Cyprus immediately. Antiochus, taken by surprise, asked for time to consider. Popillius, however, drew a circle in the earth around the king with his walking stick and demanded an unequivocal answer before Antiochus left the circle. Dismayed by this public humiliation, the king quickly agreed to comply. Roman intervention had reestablished the status quo. By being allowed to retain southern Syria, to which Egypt had laid claim, Antiochus was able to preserve the territorial integrity of his realm. Both economically and socially he made efforts to strengthen his kingdom—inhabited in the main by Orientals (non-Greeks of Asia Minor and Persia)—by founding and fostering Greek cities. Even before he had begun his reign he had contributed to the building of the temple of Zeus in Athens and to the adornment of the theatre. He enlarged Antioch on the Orontes by adding a section to the city (named Epiphania after him). There he built an aqueduct, a council hall, a marketplace, and a temple to Jupiter Capitolinus. Babylon, which revered him as Soter (Liberator, or Saviour) of Asia, was given a Greek colony that was granted freedom of the city. Another Epiphania was founded in Armenia. Ecbatana (in Persia) was also named Epiphania and became a Greek city. Many of these cities were granted the right to coin their own municipal currency. The mint of Antioch on the Persian Gulf served the trade along the sea route between India and the district at the mouth of the great Mesopotamian rivers. Antiochus’ hellenizing policies brought him into conflict with the prosperous Oriental temple organizations, and particularly with the Jews. Since Antiochus III’s reign the Jews had enjoyed extensive autonomy under their high priest. They were divided into two parties, the orthodox Hasideans (Pious Ones) and a reform party that favoured Hellenism. For financial reasons Antiochus supported the reform party and, in return for a considerable sum, permitted the high priest, Jason, to build a gymnasium in Jerusalem and to introduce the Greek mode of educating young people. In 172, for an even bigger tribute, he appointed Menelaus in place of Jason. In 169, however, while Antiochus was campaigning in Egypt, Jason conquered Jerusalem—with the exception of the citadel—and murdered many adherents of his rival Menelaus. When Antiochus returned from Egypt in 167 he took Jerusalem by storm and enforced its Hellenization. The city forfeited its privileges and was permanently garrisoned by Syrian soldiers. The Greeks and those friendly toward them were united into the community of Antiochians; the worship of Yahweh and all of the Jewish rites were forbidden on pain of death. In the Temple an altar to Zeus Olympios was erected, and sacrifices were to be made at the feet of an idol in the image of the King. Against that desecration Judas Maccabeus, leader of the anti-Greek Jews, led the aroused Hasideans in a guerrilla war and several times defeated the generals Antiochus had commissioned to deal with the uprising. Judas refused a partial amnesty, conquered Judaea with the exception of the Acra in Jerusalem, and in December 164 was able to tear down the altar of Zeus and reconsecrate the Temple. Antiochus apparently had underestimated the strength of the Hasidean movement, which was behind the success in maintaining an independent Judaean state for about a century. The fighting spirit of the Jews was all the more impressive because at the beginning of their rebellion in 166 Antiochus had just demonstrated his might to the world at Daphne, near Antioch, with a grand review of his army: 46,000 foot soldiers were on parade, among them a Macedonian phalanx of 20,000 men and 500 mercenaries equipped with Roman arms, followed by 8,500 horsemen and 306 armoured elephants. Antiochus then mounted a campaign against the Parthians who were threatening the empire in the east, recovered the income from that area, forced Artaxias of Armenia—who had defected—to recognize his suzerainty, founded the city of Antioch on the Persian Gulf, set out on an expedition to the Arabian coast, and, at the end of 164, died of an illness at Tabae (or Gabae, probably present Isfahan) in Persis. Many believers saw his death as a punishment for his attempt to loot the shrine of Nanaia in Elam (in modern Iran). Why did YAHUSHUA ask us to pray that the desolation does not re-occur during the winter or Shabbat? The very first occurrence started in the winter which is the worst time of year as it is difficult to camp outside or run around easily, etc. During one of the Shabbatot (plural for Shabbat) at the time of the first occurrence of the event, the murder of the Jews was done then. 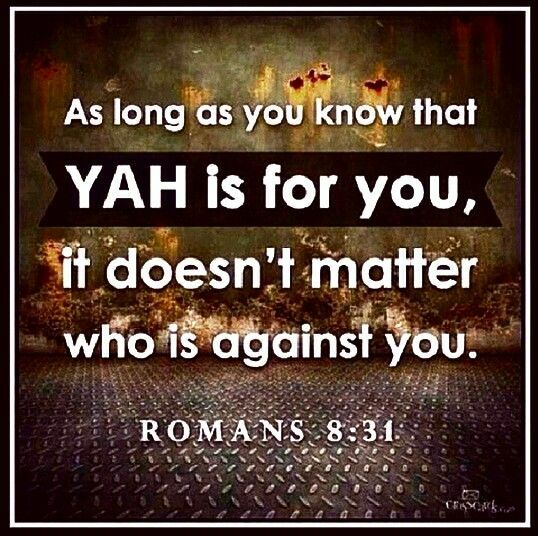 Shabbat is a day of resting in YAH. It would not be good to have it disrupted with such as it is the only time, YAH’S children get to unwind plus re-connect more stronngly with YAH. CLICK HERE TO READ THE STORY OF THE MACCABEES, JUDITH and other related stories, such as Hannah and her seven sons, etc (Hanukkah Story). The most important Hanukkah ritual is the candle lighting. Jews light candles in a special candle-holder called a “menorah” or a “hanukkiah”. Each night, one more candle is added. The middle candle, called the “shamash”, is used to light each of the other candles and it is lit every night. Therefore, on the first night of Hanukkah, two candles are lit (the shamash and the candle for the first night) and on the last night, there are nine lit candles. Another tradition is to play the “dreidel” game. A dreidel (or “sivivon”) is a four-sided top. On each side is a different Hebrew letter: (nun), (gimel), (heh) and (peh), corresponding to the words in the sentence “nes gadol haya po” (“A great miracle happened here”). Of course, the miracle happened in Israel, so outside of Israel, the letter (peh) is replaced by (shin) for “nes gadol haya sham” (“A great miracle happened there”). The dreidel is used for a gambling game in which each letter represents a different amount of money (or whatever…) won or lost. In Israel, Hanukkah is a very festive time. Schools are out for a week and there are lots of parties and special events around the country. We sing Hanukkah songs (like the one playing in the background), eat lots of food and have lots of fun! Candle sticks with space for the nine candles or oil lamps that are lit during the eight days of Hanukkah known as hanukiah. Square spinning tops known as dreidels. There is a letter on each of the faces. These letters have symbolic meanings and are used in seasonal games. Donuts, potato cakes and other foods cooked in oil. Children in some families receive small gifts on each of the eight days of Hanukkah or a single larger gift. Why is the Chanukiah/Hanukkiah got 9 branches rather than 6? This is because the Miracle of Oil occurred for 7 days altogether in addition to the 1 day of oil provision that the Jews had at the time… The 9 branch is called the SHAMASH/Head Branch usually higher than the rest. On the 7 branch Menorah, the SHAMASH is the 7th and usually higher than the rest. YAH provided OIL for 7 days in the Temple Menorah which kept the Menorah lit constantly for those days. In the meantime, the Jews made OIL. it takes 7 days to press the olives in order to obtain oil from them. The 9 branch Menorah therefore commemorates the MIRACLE OF OIL provided by YAHUVEH/YAHWEH GOD! Brief History of what happened that led to the yearly observation of the Feast of Chanukah? 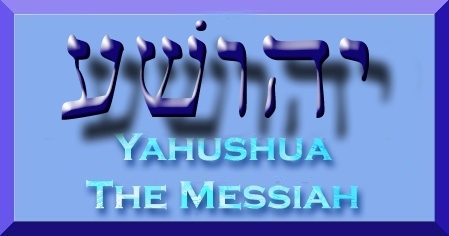 The restoration of the worship of YAH was effected by the Hasmonean, Judas Maccabaeus about 165 b.c., three years after its defilement. The Greco-Syrian Antiochus, in his excessive zeal to Hellenize his realm, persecuted the Jews, proscribed their religious observances, and erected an idolatrous altar on the altar of burnt offering in Jerusalem, where heathen sacrifices were then offered (1 Maccabees 1:41-64; 2 Maccabees 6:1-11; Jos. Antiq. xii. 5, 4). The Hasmoneans raised the cry of revolt at Modin and ultimately overthrew the forces of Antiochus. Josephus gives a vivid account (Jos. Antiq. xii. 5, 4; 7, 4). The feast falls on the twenty-fifth day of Kislev, which tallies with December (but not always). Josephus designated it “The Feast of Lights.” The Apostle John called it “The Feast of Dedication” (John 10:22, only here in the NT). He correctly states the season of the year, showing his familiarity with Jewish customs. The Jews have named it “The Feast of the Maccabees,” and the Talmud designated it “The Feast of Illumination.” Christ, present in Jerusalem during this festival, addressed the multitude. The festival was characterized by the illumination of synagogues and homes. It was a time of joy and merriment, and no public mourning was permitted on this feast. Jewish tradition claims that Judas Maccabaeus found a cruse of oil, which was sufficient for a day, but lasted for eight. The feast is celebrated among the Jews today. The system of lighting is one light for the first day, and an additional one for each succeeding day of the festival. 2 Maccabees 10:6, 7 indicated the feast was observed like the Feast of Tabernacles, with palms, branches, and the singing of psalms. On this occasion Psalm 30 (see title) was read in the ritual of the day (1 Maccabees 1:41-64; 2 Maccabees 6:10, 11). In the celebration today, although work is allowed on these days, there is a prescribed, festive ritual. The family solemnly gathers around the father as he lights the candles with a prayer of thanksgiving to YAH for the liberation of HIS people from the persecution of the oppressor. Presents and money gifts are distributed to the children. During the evening games are played with the posing of riddles and exchange of jokes. In Europe the special table dish for the occasion was pancakes. Public Life/Is Hanukkah a national holiday in Israel and elsewhere? The first and days of Hanukkah is not bank holidays. There may be some congestion near synagogues. Jewish businesses may be closed or have different opening hours. Jewish children at state schools in other countries (apart from Israel) can obtain permission to have time off school to celebrate this holiday but do not necessarily have to take time off. Only the first and last days of Passover and Sukkot are national holidays, but there may be some disruption on intermediate dates; many shops and businesses may open but close early. The festival of Chanukah is a holiday period, but it is not a national holiday – businesses remain open. What Do People Tend To Do? Many Jewish people light one candle or oil lamp on the first day of Hanukkah. They also light one extra candle or oil lamp in case they need a flame or light for some other purpose. The candle or oil lamp is placed in a candle stick known as a hanukiah. This has space for eight candles or oil lamps and an extra one. The hanukiah may be lit in a private home, synagogue or a public place, such as Trafalgar Square in London, etc. Many Jewish people light two candles or oil lamps and one additional one on the second day of Hanukkah. This process continues until the eighth, or last, day of Hanukkah. Then they light eight candles or oil lamps and one additional one. sing or recite traditional hymns at Hanukkah. Jewish choirs perform songs and hymns. Families and groups of friends play Hanukkah games together. Children may receive real or chocolate money and gifts. Many Jewish people eat foods fried in oil, such as potato cakes and donuts, and dairy products. those that are fried in oil, representing the holy oil in the temple. Potato latkes and doughnuts (sufganiyot) are requirements. brisket is a traditional Main Course. Victory Vegetable Soup as a Starter. Oil played a significant role in the Chanukah story—the small jug of oil that miraculously provided fuel for the Temple Menorah for eight days. It is a Jewish tradition to eat foods that reflect the significance of a holiday – such as matzah on Passover, and apple dipped in honey on Rosh Hashanah – and Chanukah is no exception. For at least the last thousand years, Jews have traditionally eaten oily foods on Chanukah. Among the most popular Chanukah dishes are potato latkes(pancakes) and sufganiot (deep-fried doughnuts). Actually, oil is also symbolic of the spiritual war waged by the Maccabees. See The War Is All About The Oil for more on this topic. It is also customary to eat dairy foods on Chanukah, in commemoration of the bravery of Yehudit. Click here to read the story of this brave woman whose daring courage led to a great Maccabee victory. The main Chanukah Game played is with a wooden cone shaped piece called DREIDEL/DREYDEL. This Dreidel has great significance as already written above. It is said that one of the origins of the dreidel is that the dreidel comes from the book of Esther. It is shaped similarly to the die or the “pur” Haman used as a way to ascertain the most auspicious day of the week to kill the Jews. As the scripture of Esther progresses, Esther and Mordecai (her uncle, but also her father figure) save the Jews from their horrible fate. They turn the thirteenth day of Adar, the day that Haman planned to kill all the Jews, into a day where the Jews overcome, and take revenge over those who were planning to annihilate them. The die or the “pur” represents the good day that the Jews gained from Esther and Mordecai. It is a joyous day, that is written as a Decree in the Persian empire, that Jews celebrate this day of saving. “HERE” refers to JERUSALEM, Israel. particularly in the YAH’S Temple. Shin for shtel ayn (“put in”). In Israel, the fourth side of most dreidels is inscribed with the letter פ‎ (Pei) instead, rendering the acronym, נס גדול היה פה‎, Nes Gadol Hayah Poh—”A great miracle happened here”, referring to the miracle occurring in the Land of Israel. Some stores in Haredi neighborhoods sell the ש‎ dreidels. a) If נ‎ (nun) is facing up, the player does nothing. b) If ג‎ (gimel) is facing up, the player gets everything in the pot. d) If ש‎ (shin) or פ‎ (pe) is facing up, the player adds a game piece to the pot (often accompanied with the chant “Shin, Shin, put one in”). In some game versions a Shin results in adding three game pieces to the pot (one for each stem of the Shin). e) If the player is out of pieces, they are either “out” or may ask another player for a “loan”. These rules are comparable to the rules for a classic four-sided teetotum, where the letters A, D, N and T form a mnemonic for the rules of the game, aufer (take), depone (put), nihil(nothing), and totum (all). Similarly, the Hebrew letters on a dreidel may be taken as a mnemonic for the game rules in Yiddish. Occasionally, in the United States, the Hebrew letters on the dreidel form an English-language mnemonic about the rules: Hay, or “H” standing for “half;” Gimel, or “G” standing for “get all;” Nun or “N” standing for “nothing;” and Shin or “S” standing for “share”.